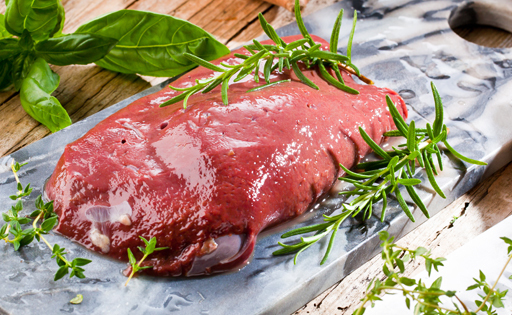 Pig’s liver is a foodstuff rich in iron and phosphorus, which helps to keep bones and skin healthy. It is also rich in vitamin B2 (riboflavin), B3, B6, B7 and B9 (folic acid). This meat, with a high nutrient content, helps to prevent iron-deficiency anaemia.